At J.C. Restoration, Inc., our employees are at the forefront of what we do. Learn about the dedicated individuals that make up our disaster restoration teams below. No stranger to sewage backups or carpet cleaning, Warner has been working in his family’s business that specializes in restoring residential and commercial properties that are affected by fire, flood, or storm damage since he was 10 years old. In 2001, Warner became the President and 100% stockholder of J.C. Restoration, Inc. located in Rolling Meadows, IL. Warner has a B.A. in International Business Administration and Finance with a minor in Japanese from Augustana College in Rock Island, IL. 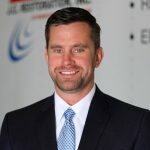 Since 1997, Warner has attended over 200 Technical Restoration Seminars and has gained several designations in the disaster restoration field including his Certified Restorer #481. With over 100 completed commercial losses under his belt ranging from famous Chicago high-rises such as Chicago’s IBM building to hospitals, food manufacturing plants and multi-unit apartments all over the country, Warner has developed key systems in successfully completing and collecting on large losses. Warner can be reached at 800.956.8844. After earning his B.A. 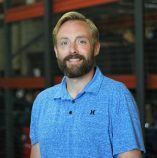 in Marketing at Illinois State University, Steve Rost started his adventure in the restoration business in 2004 as a Marketing Representative at ACR located in Wheeling, IL. Thereafter, he joined J.C. Restoration, Inc. (JCR) in December of 2006 as the Director of Marketing. With his strong leadership qualities, Steve took on his role as General Manager in April of 2008 assisting in the success of many initiatives including the advancement of JCR’s position in the Qualified Remodeler’s Top 500 List, moving them up from the 259th spot in 2006 to the 61st spot in 2015 (#2 in Illinois). Additionally, with Steve’s influence, he assisted in transforming JCR into a more commercial-based company by increasing commercial revenue from an average of 45% between 2004 and 2007 to nearly 66% between 2011 and 2015. During his time at JCR, Steve developed and instituted effective sales and marketing strategies, which assisted in the overall company growth of 265% in a five-year period. Contributing to this growth was two JCR accredited 12-hour State of Illinois CEC courses. 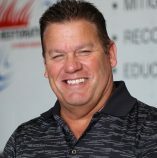 The Water Damage Restoration Course (“The Ripple Effect”) and the Fire & Smoke Damage Restoration Course (“The Smoke on the Water”) were developed and facilitated by Steve for insurance professionals. In addition, Steve developed a second course specifically designed for property management companies. After eight months of building these courses from the ground up, the first set of “The Ripple Effect” courses were hosted at JCR in 2008. Since this time, 2400+ attendees successfully earned their Continuing Education Credits and JCR continues to receive exceptional results. Steve also assisted JCR in earning the DKI Claims Award in 2013 and 2014 by instituting the Customer Satisfaction Program in the fourth quarter of 2012. This internal customer survey program assisted our divisions in gathering feedback and measuring performance at every stage of the restoration process to ensure quality work and customer service was provided. The DKI Claims Award is significant to JCR, as it is presented to DKI Member Companies that exhibit exceptional service on claims submitted. Steve can be reached at 800.956.8844 or srost@jcr24.com. Josh Bachman joined J.C. Restoration (JCR) in October of 2012 after moving here from Texas. He was previously the General Manager at Mackenzie Restoration, Inc in San Antonio. A graduate of the University of Texas and years of experience teaching middle school mathematics brought Josh to where he is today. He has held a few positions at JCR, including Contents Division Manager, Claims Management Director (CMD), and Technology Director. All of these roles helped prepare him for the fluid and unpredictable nature of the restoration business. He currently holds the position of Director of Operations, managing all aspects of the JCR production divisions. Josh can be reached at 800.956.8844 or jbachman@jcr24.com. Joel Hossli joined J.C. Restoration (JCR) in August of 2008 after over a decade in the insurance industry. His prior experience as Property Adjuster for a national insurance carrier made Hossli the ideal choice for developing the new Claims Management Division for JCR. In this role, Hossli acted as a dedicated point of contact for the insurance adjuster, providing superb communication and efficiency on all property losses. Joel then moved into the position of JCR’s Director of Operations. In this position, he oversaw the management of each production department while still acting as Claims Management Director on JCR’s large loss projects. Currently, Hossli serves as Director of Emergency Services – where he handles the logistics of the EME water, fire, environmental and board-up divisions. Joel can be reached at 800.956.8844 or jhossli@jcr24.com. Todd Johnson, Operations Manager: Structure Division, has been with J.C. Restoration since 2017. He has experience as a carpenter foreman, field adjuster with State Farm insurance, construction business owner, project manager, and a restoration production manager. Todd has been in the construction industry for over 30 years, and it’s his goal to help those in times of need. He takes pride in helping clients rebuild from an unexpected disaster as quickly and painlessly as possible. Todd can be reached at 800.956.8844 or tjohnson@jcr24.com. 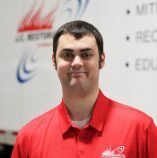 Cory Ambrose, Senior Restoration Manager, has been with J.C. Restoration since 2012. 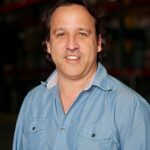 He has an extensive background in fire, water, and mold restoration, and holds certifications in fire (FSRT) and water (WTR / ASD). As a large loss and disaster restoration specialist, Cory has responded nationally to many hurricanes, named storms, and widespread river flooding. 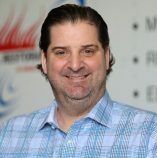 Cory is an instructor for JCR’s Continuing Education classes on water damage mitigation, and is a regular contributor on WLS-AM and WGN radio regarding disaster restoration response and planning. Cory can be reached at 800.956.8844 or cambrose@jcr24.com. Pete Marrero, Restoration Manager with J.C. Restoration, has spent 11 years in the industry, and 9 of them with JCR. He has experience up and down the East Coast responding to property damage events. 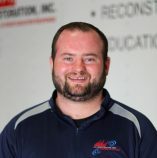 He holds the following certifications in order to properly serve our clients and customers: WRT (Water Restoration Technician), ASD (Applied Structural Drying), AMRT (Applied Microbial Remediation Technician), FSRT (Fire & Smoke Restoration Technician), and OCT (Odor Control Technician). Pete also has experience presenting continuing education classes for JCR, including our Fire Damage CE Class, “Smoke on the Water,” and is continually updating his own skills and training. Pete can be reached at 800.956.8844 or pmarrero@jcr24.com. Bill Titus, Restoration Manager with J.C. Restoration, is a newer member of the team, but has been restoring homes since 2011. He ran an IT store for eight years prior to joining J.C. Restoration, and actually had JCR respond to a loss at his own home prior to working here – this definitely played a part in him wanting to join the team. Bill is working towards his WTR ASD certifications as we speak, and will be fully certified in May. He is a former college football player, and credits this experience to his dedicated nature and always striving for excellence. Bill can be reached at 800.956.8844 or btitus@jcr24.com. 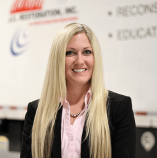 Amanda Titus, Project Manager: Restoration Division, has been with J.C. Restoration since 2014. She has worked in various capacities with the company, including several positions with the Fire division and Contents division. She has experience renovating two of her own homes from the ground-up, and mitigating a large water damage loss in her own home – prior to working in the restoration field. Needless to say, that paved her way to her current job at JCR. Amanda can be reached at 800.956.8844 or atitus@jcr24.com. Keith Birns joined J.C. Restoration in October of 2010 after working for two prior restoration companies. 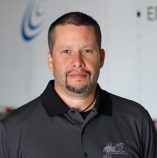 He has been in the industry since he was 18 years old, checking trucks and restocking trucks and was eventually promoted to a technician where he began his journey. When Keith started at JCR his first role was a lead technician and he eventually worked his way to becoming division manager for the Water (WTR) Team. 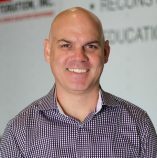 Keith has held numerous positions at JCR, including Lead Tech, Superintendent, Project Manager, and Division Manager. His main focus is managing all WTR and ENV (mold) jobs that come into JCR, and he holds several certifications in drying and mold (WRT, ASD, AMRT, CDS). Currently as Project Manager of the Restoration Division, Keith manages crew members, scheduling, estimating, and monitoring scope of work completion. In his free time, Keith enjoys watching his favorite team, the Chicago White Sox. Keith can be reached at 800.956.8844 or kbirns@jcr24.com. 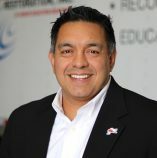 Russell Almaraz, Claims Management Director, has been with J.C. Restoration since 2012 and has held positions previously in the estimating department and claims management. Russ served in the US Air Force Engineering Squadron, and his previous experience as an insurance adjuster with State Farm definitely contributes to his current role here at JCR. Russ can be reached at 800.956.8844 or ralmaraz@jcr24.com. Nina Boye, Claims Management Director, has been in the restoration industry for 16 years and has spent the last 12 years with JCR. Nina has held various roles at J.C. Restoration, including estimator for mitigation and reconstruction projects, project manager, office administration, structure division operations manager, and currently, claims management and business development. 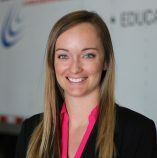 She holds numerous industry certifications with the IICRC, Indoor Air Quality Association (IAQA), amongst others, and constantly seeks out educational opportunities. Nina can be reached at 800.956.8844 or nboye@jcr24.com. Abby Arcano, Key Account Manager, has been with JCR since 2013, and in her current position, she focuses on marketing to the insurance industry – more specifically, agents, brokers and adjusters. She has 12 years total sales experience, 10 of which are in the insurance industry. Before joining J.C. 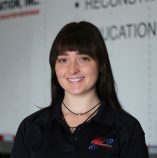 Restoration, Abby worked for an engineering company and was also a desk adjuster. Abby can be reached at 800.956.8844 or aarcano@jcr24.com. 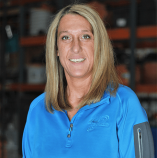 Angela Falese, Key Account Manager, has been in the restoration industry for 10 years and has spent the last two years with JCR. In her current position, she focuses on marketing to the insurance industry but also has experience and knowledge in the fire department and property management sectors. She currently serves as Secretary on the Illinois 1752 Club and is an active member of NSIP (Northwest Suburban Insurance Professionals) – previously served as both Vice President and President, respectively. Angela is an avid runner and enjoys the company of her family and friends in her spare time. Angela can be reached at 800.956.8844 or afalese@jcr24.com. Fred Schroeder, Key Account Manager at J.C. Restoration, Inc. since 2013, is responsible for building and maintaining relationships with people in the real estate related industries and educating them about disaster preparedness and response. Building these relationships requires knowledge of the industry and taking the time to educate you about what to expect when that worst case happens. 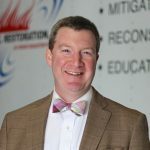 He has a Civil Engineering Degree from Illinois Institute of Technology and has managed natural disaster relief efforts all around the United States. Fred can be reached at 800.956.8844 and fschroeder@jcr24.com. Michael Collins, Commercial Client Advocate, has been a member of the J.C. Restoration team for 15 years, as general manager, sales manager and most currently, sales team member. He fondly says that he successfully worked his way from the top to the bottom of the organization. Being in a business development role for the emergency services that JCR provides, it’s fundamental to be remembered when a disaster occurs. So he says while his life experience does not directly contribute to making him a better restoration marketer per se, he believes his unusual career path to where he is today contributes to people remembering him and JCR in a time of need. His unusual career path includes working in his native Canada, Japan, the Philippines, the Netherlands, Lebanon, France, and now in the States. Mike can be reached at 800.956.8844 or mcollins@jcr24.com.